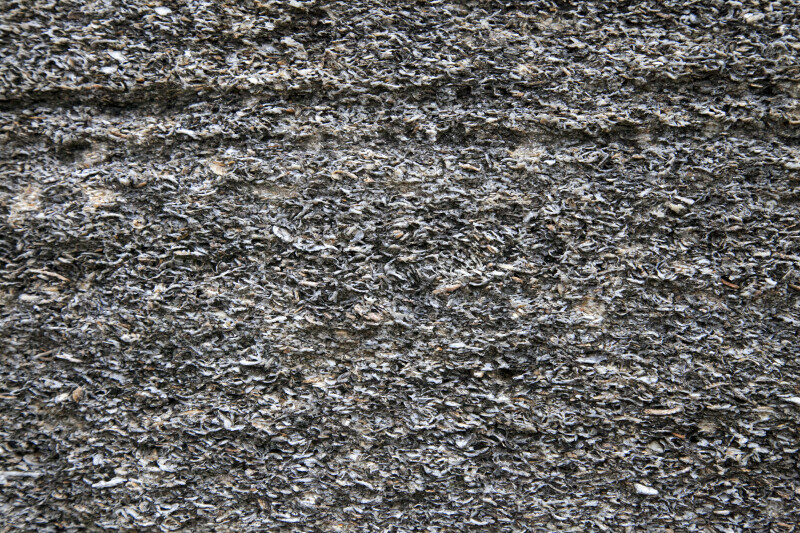 This is a close-up of coquina limestone. This type of limestone was used to construct Castillo de San Marcos. It is composed primarily of shells that have been cemented together by calcium carbonate. The fort is a National Monument, and is listed on the National Register of Historic Places.